[T]hose of us who live on Maine’s midcoast know well the first four lines of Edna St. Vincent Millay’s famous poem, “Renascence”­ (if not much more): All I could see from where I stood / Was three long mountains and a wood; / I turned and looked the other way, / And saw three islands in a bay. They’re on a brass plaque at the summit of Camden’s Mt. 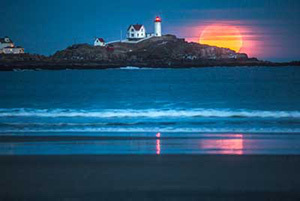 Battie, where one enjoys the view that the words so elegantly describe. Years ago, that simple stanza in a book of verse captivated 12-year-old Krystyna Poray Goddu. She read on — all 214 lines — and found herself immersed in a poem far more intricate than it had first appeared. 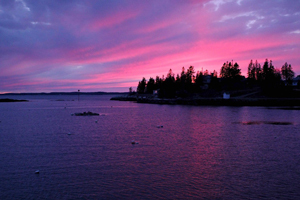 Goddu became fascinated with the spirited Maine poet, who, at all of 19, achieved national acclaim in the early 20th century. Now a writer herself, Goddu is betting Millay’s story will resonate with other adolescents as it did for her. 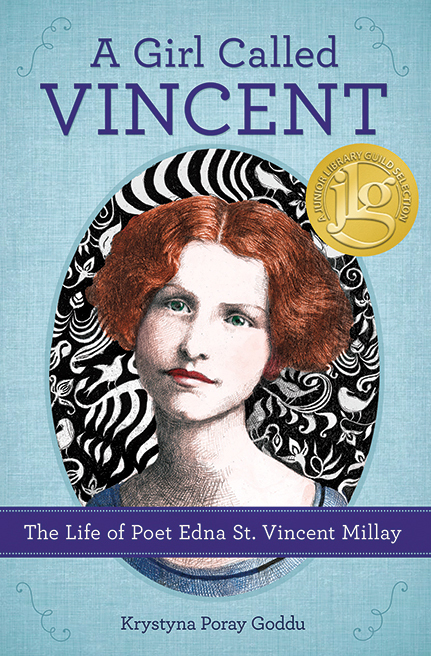 Her new book, A Girl Called Vincent: The Life of Poet Edna St. Vincent Millay (Chicago Review Press, 208 pages; cloth; $18.99), is written for middle-grade readers. Nearly half of A Girl Called Vincent dwells on Millay’s childhood, and the young poetess on those pages is passionate, smart, and likeable, if a bit high-strung and melodramatic. Millay was a typical teen, in other words, but one who happened to write a poem that made her famous. Less typical ­— but more compelling — is young Millay’s home life in the Camden area: her alcoholic father abandoned the family, and her mother often traveled as a nurse, so Millay and her two younger sisters all but raised themselves. While Goddu clearly likes her subject, she doesn’t avoid Millay’s rough edges, her bouts of depression or adult struggles with drug and alcohol abuse. However, parents need not be concerned. Goddu presents an honest portrait, appropriately tempered for a young audience.